At Wagon Wheel, we take the pride in the variety and quality of our produce. When available, our produce is purchased as locally as possible. Our Deli features sliced to order Boar’s Head meats and cheeses, prepared foods, meals-to-go, soups, salads, and an in-house bakery with fresh made breads and muffins. We offer fresh fish and shellfish daily, sirloin tips, marinated chicken, fresh chicken breasts, restaurant-style burgers and hot dogs. We also make sandwiches-to-go at lunchtime and throughout the afternoon, daily. We are also a full-service florist and greenhouse open year round. We began as a landscaping business and we continue that service to this day. Great plants, produce, cheeses, deli, etc.,etc.! I've driven by Wagon Wheel Nursery many times but never stopped in before. I thought it was just a nursery but I was surprised by the produce, deli, imported foods, etc. I only made a small purchase today, but now that I know what they have to offer, I will return. Loved my walnut chic salad wrap, and the friendly deli folks! First sandwich there, but will not not be my last! Consistently great sandwiches, ready when they said they would be. They also have great produce and other items, all reasonably priced. NEW FAVORITE- So close to my university. Everything looked so good. Ended up spending a lot more than I expected I would. Lovely shop and so nice to have a gift certificate there! Great farm stand!! Go there often. Very nice store with so many things to select from. All the fruit and produce looked fresh, everything neatly displayed. So much to choose from. I definitely would go back! friendly service and delicious sandwiches! Super yummy sandwiches and good selection of groceries. All fresh and local. Service is friendly, the displays are inviting, and I really like their deli and salad bar. At different seasons they have wonderful outdoor displays from their garden center and holiday items. Wagon Wheel is terrific and located near me. No parking problem. All kinds of food from regular to gourmet. Great veges and meat. Wonderful people working there. Beautiful flowers and bouquets year round and especially for holidays. Give them the highest ranking. A cute shop. Friendly staff. I found some unique items and can't wait to try them out. LOVE wagon wheel. Everyone who works there is so nice, and the food quality is great. We even got our Christmas tree there this year. I would definitely recommend shopping here! I have lived in town my entire life and never shopped at Wagon Wheel. The store was wonderful. Fruit, vegetables, cheeses, deli, flowers, gift shop, Christmas greens etc. etc. The women in the gift shop was very kind and helpful. A truly lovely local grocery! I was excited to see that although small, Wagon Wheel had a selection of some organic and local items. Their deli had a nice selection of prepared foods, including Gluten Free! Used it on my Christmas decorations (wreath, outdoor urns, shepherd's hook decoration, etc. Fresh and good variety of produce. nice produce, fair prices. Thanks! Such a cute farm stand! I would go back again in a heartbeat! Great farm stand and landscaping store. Convenient location and friendly staff. Very cool! I’ve never even heard of this place before but will definitely be back! Thanks so much! I love Wagon Wheel and love to support local farmers as well as farmers markets! Thank you Eric from Everpresent! Much appreciated!! I'm trying to click on the 5 (highly recommend) below but it won't let me... so make sure it's a 5 please. Wagon Wheel was a nice place, with good atmosphere, especially for fall. I enjoyed the selection of fall plants, Pumpkins, and apple cider donuts. They also had a variety of grocery foods, and garden supplies. The staff was friendly, and there were no lines. I liked this place a lot. Excellent spot for prepared food, sandwiches, take out and fresh vegetables. Nice houseplants and perennials, lovely fruits and veggies, and lots of treats. Deli too. Just off Route 2 in north Waltham. Very nice produce (especially local produce). Some very good prices (some very high). Nice selection of meat and bakery. And candy! And the employees were friendly and courteous. Great variety of excellent produce! I bought a delicious pie! The staff were very helpful and friendly. I would definitely recommend Wagon Wheel to anyone wanting fresh fruit, veggies, deli, baked goods, plants and garden supplies. I found it hard to choose how to use my gift certificate! Amazing sandwiches and caramel apples for later! Employees are all so friendly! 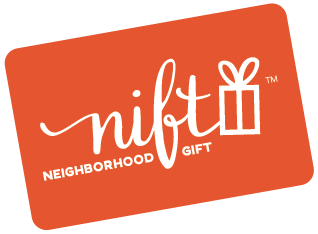 Love Nift and the opportunity to try out new local vendors or return to old familiar ones. I enjoyed the fresh produce and the wide array of items they have. People are great! Very friendly and helpful. Deli sandwiches are the best! Great selection of fresh produce! GREAT little store/shop and flowers. Super nice people. I have been going to the deli for years for the best sandwiches. Produce was very good quality; prices a bit high and fish was too expensive to buy! Friendly store, fresh foods and great produce, with a local selection! Great place, good quality product and excellent customer service. Always a pleasure to visit Wagon Wheel! The fish is always so fresh and delicious! Great produce and plants, very friendly people also. I go there all the time - amazing place! Wagon Wheel is great - so many quality plants and foods to choose from. Great place with a lot more merchandise than I thought it would have, including produce, meat, and sandwiches to order. Found something not available everywhere. Nice garden center, nice flowers and plants. Wagon Wheel is great - friendly, knowledgable staff, great food selection, and great plants for your garden, too! Great selection of produce at very competitive prices. I shop at Wagon Wheel frequently and enjoy the experience of a small store that has just about everything. The chocolate muffins were delicious! Got soup and a sandwich for lunch. Food was delicious and very reasonably priced. Staff members were very cheerful and friendly. They had an interesting variety of food and things from many local companies, which I especially liked. Always enjoy a trip to wagon wheel. I love this place! I literally go there 5 days a week for lunch and half the time I buy ingredients for dinner too! They are always friendly, super fresh and delicious food, and not too pricey for the quality! This is a great little store. Large and appetizing selection of fresh meats! Wagon Wheel is a wonderful for good food but in the spring and summer it’s a great place to shop for garden supplies. Wagon Wheel is great. I bought produce, bread and cookies. I hadn't been for years, and was pleasantly surprised by both the quality and prices on their produce. I always enjoy going to Wagon Wheel and having a gift certificate made it that much more enjoyable. I like their fruits and vegetables and pastry as well as their salad bar, so I made it a point to stock up on those. called ahead and my delicious sandwich was ready 10 minutes after I called! A very nice farm stand. I was surprised by the selection and how good many of the prices were. Might make it a regular stop. I enjoy shopping at Wagon Wheel. The atmosphere is homey and the food is fresh and appealing. It’s easy to enter and exit too! The gift certificate to Wagon Wheel gave me a good reason to do some shopping there. There are several grocery stores closer to me, so I don't go regularly to WW, but I always enjoy the experience and using the gift was a terrific reminder about how pleasant it is to shop there. Great selection of fresh and prepared food. Friendly staff. Lots of variety and staff are nice. Cashier tried very hard to redeem Nift certificate - reception was bad at the store and i couldn't load gift card on my cell. Produce is really fresh in appearance and texture! This was the first time I ever used a gift certificate from a phone! I love Wagon Wheel. I was very excited to use it! Although I’ve lived down the street from Wagon Wheel for 6 years, I’ve only gone there at Christmas time to buy my tree and wreath. Going in today with my nift gift made me really appreciate all that Wagon Wheel has to offer. I didn’t realize that it had so many high end products. I know I will be stopping in there going forward now that I have a greater understanding of it’s selection. Thank you Wagon Wheel and Nift! I hadn't realized that they sell so much fresh food. I'll be back! It is a small farm stand selling fruits, vegetables, deli, and diary. The prices are reasonable. There is parking and easy to get in and out. It feels like a little market in the countryside, and I like their apple cider donuts and maple sugar candies. The Wheel Italian sandwich from the deli is great, but overall I found the products in the store overpriced. Wagon Wheel has a great selection of cheeses, fresh produce, meat and seafood. Quite an array for such a small place! Cashier was very helpful and patient while my go nift coupon loaded. Loved this store and the staff was very friendly! Wonderful produce, gourmet groceries, and flowers. Wagon Wheel offers only the freshest ingredients in their salads and sandwiches. Delicious and an excellent value. I’ll go back again and again! Such a great little farm stand that makes an effort to stock with locally grown items. Prices are excellent and they also have a wonderful variety of items to choose from. I've no need for nursery supplies, but if I did, I would certainly make the effort to shop here. Wagon Wheel is definitely a convenient local business that I will return to time and again.